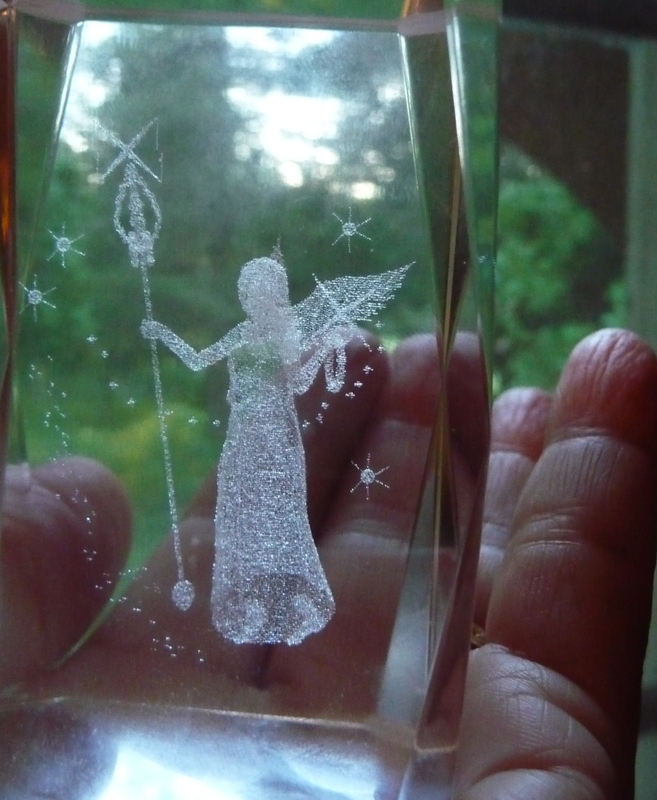 I was speaking with a friend yesterday and she said, “Do you have your magic wand?” I had just picked up this little paperweight with the angel inside, had placed it by my phone, and was looking at it when she asked me that question! 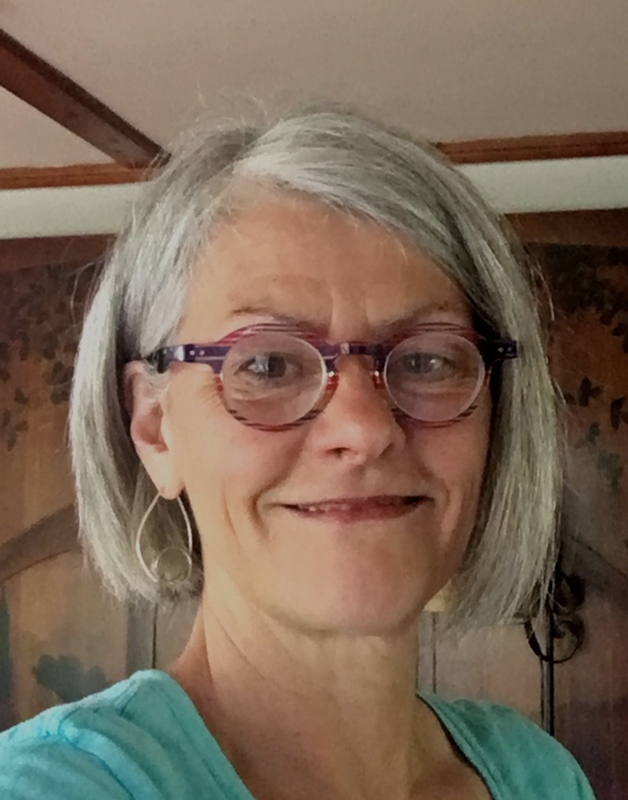 A couple of months ago, I asked my friend, Sister Madonna Buder, to keep me in her prayers for an issue that I was having difficulty turning over. She replied that she would love to pray for me, and as a matter of fact was competing in (yet another) triathlon the following Saturday and would dedicate a portion of it to me. I felt like a weight had been taken from me when she said that. This weekend, I’ll be riding a bike 25 miles. Nothing like an Ironman, but still, I’ll riding for (by my estimation) at least 2 1/2 hours and would love to be able to offer this time to those who would like prayer. Is there is something that you’ve been carrying …something that you haven’t been able to let go of (even though you feel you really need to)? If this speaks to you, please comment (as specifically as seems right for you) with your request, and I will hold you in prayer during my ride. Your request (or requests) can be for yourself, a friend, animal or situation that is important to you. “In a book by David Holmstom, published in the mid-nineties, When Prayers Are Answered, Dr. Doyle explains the amazing healing he had of an open fracture he sustained as an adolescent. Doyle was participating in a judo tournament when an opponent sized his finger and bent it back until the bone protruded. Seeing the bone was broken, his instructor sent him to the hospital for x-rays. He sat in the emergency room for three-quarters of an hour, waiting for a doctor. While he waited, he pondered the biblical story of God healing Job when the latter prayed for his friends. He says, ‘I began talking to and comforting all those people with me in the emergency room until I completely forgot about my hand. When I did look down again, the bone had slipped into place. When I got my x-ray the technician said that the bone had been broken, set, and sealed already…and that I shouldn’t’ have come to the emergency room at all….My interpretation of the healing was that your hand exists in your thought. So when your thinking is correct, nothing , including time, can stop the healing process. I feel guilt and pent up anger over a relationship in my life. I need to let go and move on and am having difficulty! Oh, Mary … of course, what perfect timing. I’ve been praying to surrender a relationship that ended earlier this summer. The thoughts of it are still rolling around in my head and heart like a pinball machine! Thank you and bless you on your ride. I’ll be thinking of you today Laurie, …..opening up and letting go! I need wisdom for the next phase of my life. I know it’s time for a change BUT fear is paralyzing me. Thank you Mary! I would love for you to hold healing thoughts and prayers for my brother Tim who is physically challenged- but more importantly-spiritually and emotionally seems to be lost. Bless you! Have a wonderful ride! Mary, twenty-five miles of biking is inconceivable to me so I would like to pray for you tomorrow, if I may. If any prayers are said, I would only ask to always try to remember that when another person annoys me, that they are a human being as I am and therefore, deserving of understanding and consideration. I fall into a trap when people become aggressive with me and I need to check myself not to respond in a similar manner…if someone pushes me, my initial reaction is to push back….not always the best way to handle aggression. Thank you for your offer. I’d like you to pray for my daughter Jessie – support her in moving forward with her recovery – appears to be stuck. And for my friend Ayana – let her find a way to let go of anger and resentment toward the people she works with. I need your prayers to help me tap into and trust my intuition. I have been listening to others for this recent long period of time and I don’t seem to remember which voice is mine and which ones belong to others. It’s time to move on and I want to trust myself again and let go of the fear of making the “wrong” decision. Thank you so much for this offer and blessings to you for a safe and joy filled ride. Mary, may I ask for prayers for my son Paul, who has trouble letting people get close to him and has no close friends. It is so painful to think of him going through life being lonely. Thank you, and I will prayer for you to have an enjoyable and safe ride. I am imagining Paul happily joining us all today! Hi Mary, have a fun ride…..pray for peace…….the mind, body, spirit as one and not separate seems to be exhilarating into our consciousness! I always feel that childlike freedom when I’m riding my bike!!! It’s pure joy . The song, “Give peace a chance” was playing on the radio on my way up to Middlebury yesterday! Thank you Mary,how generous and wonderful you are to offer up my needs in prayer. The bible says,”where two or three are gathered, I AM in the midst of them” so here is my prayer…that my children would find healing, peace, and love in their lives. I am going through a very nasty divorce, and I am afraid that my children (who are all adults, by the way) are suffering in their own relationships because of it. The rendering of a family after a divorce is difficult and I pray for their wholeness. Thank you, and God Bless you, Mary. Oh, thank you Mary for your generous offer! I would appreciate healing prayer for my son Michael who feels victimized and lost due to what he sees as life circumstances. And I will hold you in love and light on your courageous 25 mile jaunt! Dearest Mary, I welcome and am so grateful for your healing prayers of love and light….during this extremely challenging time for me as I heal my body of back pain and I reawaken my spirit to the power of God within. Bless you. Dear Mary, what a gift to have your prayers at I start chemotherapy treatment. I feel a huge weight has been lifted. Thank you, and good luck this weekend. Wow everyone, for so early in the morning, so many responses to Mary’s post! Later on today in a quiet setting I want to scroll down and hold each of your names up to God for healing, for whatever intervention that is perfect for you. Mary, just to think that you are holding your flock in prayer as you run will sprout wings on your lovely shoulders! You are our angel! Have fun tomorrow! Thank you for being so gracious as to open your heart to us in this way. Hearing “On the Wings of Love” in my mind. Thought I’d share the link to the song. As I listened to it I felt Mary soaring along as she rides (with all of us in spirit). Mary Solomon! Thank you so much for sharing the link! I almost did, but thought, ok, if someone wants to find it they will! And now Mary Muncil, checking in tonight – sending love and a hug to you! Angels’ Arms around us all tonight as Mary Muncil rides tomorrow! Mary, we know you have to stay concentrated and nobody can possibly be riding a bike and remembering every single person and prayer request, – but again, I say, the angels already have graced you with wings on your shoulders, and I envision the prayer requests to nestle lightly upon your shoulders, wish upon wish, prayer upon prayer, and a sweet wind upon your face!!!! got her own apartment and had to split with her family to do it. She works and she helps other people constantly and she never feels sorry for herself or asks for anything. She prays for others constantly. She also does everything with a sense of humor and is a joy to be around. She deserves all the prayers she can get as she goes into her new life. She needs to continue to be strong now more than ever. Thank you again. Dear Mary, thank you for your loving offer! I would like prayer to be able to move on with my life and release the past. I’ve been longing for my past life ever since we moved, and wishing I could go back and relive those days when I was able to set off with my two border collies, who both died in the past year, for several hours exploring the hills around my former home. I need to accept the fact that I am no longer able to do those things, and find a dog that fits in with my current needs. I’ll be praying that your ride will be everything you want and need! Wow, Mary… you’re going to be busy on your bike ride… my request would be the same as Barb (#1 poster)… regarding guilt and pent-up anger over a relationship I severed with my alcoholic brother… Thank you, and have a wonderful ride!!! Mary, what a beautiful offer! Thank you for your generosity of spirit. WFF friends, I will reread these posts daily and will hold you in peace also. It’s my way of saying “thank you” for the support and wisdom I’ve received here from so many. Blessings and laughter to all of you, friends. You have given us the opportunity to put our requests for prayer “out there” and I feel they are being “taken in” by all of us. We will all be holding each other in prayer. What an awesome thought! I look forward to reading and holding all the prayers with loving thoughts as you will be doing also. Can you imagine the energy we can all create by this opportunity that Mary has given us?! My prayer is that I remember who I am and to be loving and patient when I forget. A situation involving daughter in law, resulting in strained relations with son and grandchildren. Thank you, Mary. . .for your generous heart! I will pray for you and ask that you remember my daughter who struggles with a physical issue and also anxiety. Bravo for your courageous ride! I would love for you to hold my children in your thoughts as they all make transitions. And I will hold You in my thoughts as you journey through your day. Thank you and love and blessings to you. Mary, we spoke once on the phone and you may have been the one that suggested this affirmation that I wake to each day and you could perhaps include it “my son’s life is growing and expanding and filling with love”. Likewise, will include thoughts and blessings for you in my morning quiet time. Good luck! I can see and feel the winds beneath your wheels! Wishing you a great, fun and safe bike ride…makes me want to get out there, but I know I could not do 25 miles….OMG! Your prayers I ask for my children who are grown, but having many challenges in their lives. Thank you SO much, Mary. Wow, blessings to ALL in your evolutions! I shall also think of you all on this busy weekend. We’re having our biggest annual event, Paws in the Park, for our homeless animals & here’s hoping we raise lots of $$ for their shelter and comfort. And I’d really like to stop being fat. YEAH SPIRIT!! Your timing is perfect, as usual. If you could pray for my friend, Melanie, her husband, Bill, and their daughter, Madison. They are clinging together in some very turbulent waters right now, and I have been praying non-stop. I would love to share the task (or multiply it…) Thank you. I don’t usually do this but I would like to request your prayers for myself. I have been quite depressed for almost a year now and the usual things I do for this, meditation, exercise etc do not seem to be helping. I also have chronic pain and a herniated disc right now so I am unable to get moving as I know I need to. I appreciate your kind offer and hope you can fit me in! I am a long time reader of your blog and i thank you for all the inspiring thoughts and ideas you share. Good luck with your ride I will be thinking of you. Please pray for me to quit being judgmental. Have a safe journey and thank you. Please pray for all the horses in America that are being sent to slaughter. It is a hard fact to know that these innocent creatures are being tortured and killed for no fault of their own. It is troubling and they need all the prayers they can get. Thank you and have a spiritually empowering journey. Dear Mary, Please send out a prayer for Gracie, my old english sheepdog. She has been diagnosed with an autoimmune disease. She is healing but I believe prayers have helped her thus far. Your additional prayer would maybe help her to get back to her bouncey self. Thank you! p.s. Best wishes on your ride. And so healthy and beautiful your fingers are holding the angel. I would like to receive prayer for a health condition I am facing. In about ten days I will go for a biopsy and more testing, and my prayer is that there will be nothing at all for them to discover. Mary, I would like to be remembered in your prayer that I may be less fearful and more trusting about what’s around that curve in the road I can’t see beyond. Thank you, and happy cycling. Oh Mary, I’ll say a prayer and send positive thoughts to you tomorrow on your ride. What an accomplishment! Blow with the wind! A friend has a court hearing this Monday 9/9. It involves injustice. Please pray that justice is done for my friend. I know all our thoughts are with our Mary as she pedals along the miles with us in her thoughts. Family discord, haven’t seen my grandson in 7 months. My son harbors a lot of anger. Peace and love for our family.